Dr Barker completed a degree in Biological Sciences before studying medicine at Charing Cross and Westminster Medical school. 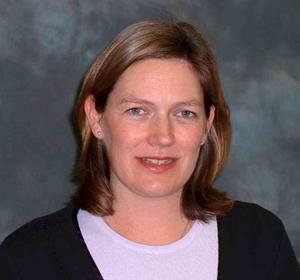 She completed her GP training in East Surrey, and joined the practice as a part time partner in 1998. She enjoys all aspects of family medicine, with a particular interest in paediatrics and women's health. She is the visiting GP for Gordon's School. Completed his medical degree at Charing Cross and Westminster in 1987. Following this he completed his vocational training at St Peters. He has worked in the practice as a full time partner since 2004. He is married with two daughters. His special interests include minor surgery, joint injections and men's health. Trained at Kings College in London and qualified in 1985. Spent a short spell working in Australia before coming a GP partner in South London for 11 years. Moved to Surrey and joined the practice in 2011. She also works as a GP Appraiser. Dr Pop completed her GP training at Chobham and West End Medical Practice in August 2013; she has worked in other practices locally before returning here in October 2016, initially as an associate and latterly as a partner. She is originally from Romania. She is interested in all aspects of GP work especially Asthma. 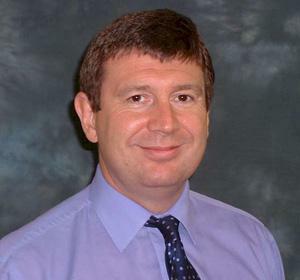 Dr Willmott originally trained in Edinburgh and then worked in hospital medicine, with an interest in haematology. She worked in Australia before returning to South London to train as a GP. She went with her family to work in Canada for a few years before taking up her position at Chobham & West End Medical Practice in December 2015. She is interested in all aspects of General Practice medicine and is the visiting GP for a local Nursing Home. She carried out her GP training at Ashford and St Peter's Hospital and then worked in practices in Berkshire for a number of years. She joined Chobham and West End Medical Practice in October 2016. She enjoys all aspects of General Practice with an interest in Dermatology and Diabetes. Graduated from St George's Hospital, London in 1983, completed GP training in Ashford and Richmond 1987. She was a GP partner in Surbiton and Esher, and a salaried GP in Hampton, before moving to Chobham and West End in November 2016. Interests - Women's Health and all aspects of contraception and HRT. She fits coils and implants; Also asthma and respiratory diseases. and subsequently completed her GP training in Guildford, Surrey. She joined Chobham and West End Medical Practice team in November 2017. She enjoys all aspects of General Practice. Practice nurses are qualified and registered nurses. They lead on health issues such as vaccinations, contraception, healthy living advice, blood pressure checks and dressings. The practice nurses run clinics for long-term health conditions such as asthma or diabetes, minor ailment clinics and carry out cervical smears. Emma is an experienced practice nurse and our lead nurse. She was previously working in the surgical unit at Frimley Park Hospital Trust. She undertakes all aspects of nursing care and including cervical smear taking, childhood and travel immunisations and promoting good health. 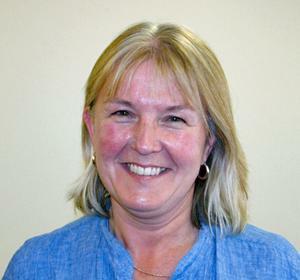 She has the Warwick certificate in Diabetes and runs the practice's Diabetic clinics. Clare joined us from The Royal Surrey County Hospital Trust where she was an experienced nurse working as a deputy sister in the Ear Nose and Throat Unit. She undertakes general treatment room tasks including wound care and cervical smears, contraceptive pill repeats. Clare has completed her immunisation course and also courses in both childhood and travel immunisations. Nicky is a practice nurse who offers general nursing services. She joined us in April 2018. Before that she worked as a Community Nurse. Mike is an experienced paramedic who began his NHS career with the London Ambulance Service in 2003 before moving to South Central Ambulance Service in 2008. In 2014 he moved into intermediate care as a Paramedic Practitioner with an admission prevention team in Harrow. Before joining the practice, he was an Advanced Paramedic Practitioner with the community team in Merton where he was also a Dementia Care Champion. Mike is our lead on frail and elderly housebound patients. Helen is an experienced Health Care Assistant who undertakes phlebotomy, Blood pressure monitoring, ECGs, administering Vitamin B12 injections, Flu Immunisations and promoting good health. She has a special interest in monitoring pre-diabetic patients, INR monitoring (Warfarin) and smoking cessation. Both Reception Managers deputise for the Practice Manager in his absence. Receptionists provide an important link for patients with the practice and are your initial contact point for general enquiries. They can provide basic information on services and results and direct you to the right person depending on your health issue or query. Receptionists make most of the patient appointments with the GPs and nurses. They also perform other important tasks such as processing repeat prescriptions and dealing with prescription enquiries, dealing with financial claims, dealing with patient records and carrying out searches and practice audits. Midwives provide both ante and postnatal advice and care in the community and at the practice antenatal clinics. The District Nursing team can be contacted by telephone on: 0300 303 4735. They provide nursing care to housebound patients in the community. The Community Nursing service is provided by Central Surrey Health (CSH). A health visitor is a registered nurse who has received training particularly related to babies, children and pregnant women. Their role is to provide families with children under five years old with support and advice around the general aspects of mental, physical and social wellbeing. The Health visitors can be contacted on 01483 728201 ext2.